When it comes to marketing and brand recognition, we are firm believers that your marketing should start at the brand or logo. The logo becomes the face of the company and the first thing people either relate to or remember your product or outfit by. Without having a strong and impressionable logo you are at risk of being lost in the crowd. Most of the time when clients email or call in requesting a logo for their company their wish list of elements or features can be a mile long. While this list can be a great brainstorming session, we try to get clients to simplify their list. Why is that? Because when you try to cram too many elements into a design it can be lost in translation or possibly the logo becomes a distraction rather than a feature of the business. Always remember that when creating a logo for your business – KEEP IT SIMPLE. One philosophy that we try to make clients aware is that your logo will be used on a wide variety of applications, however most of the time you will be using the logo in a one color application. Think print advertising, embroidery, decals, and even some web applications. By creating or starting in the one color format, our clients tend to have a versatile logo that functions just as good in one color as it does when details are added. Another aspect of great logo designs are does the logo or iconic element stand on its own when you remove and typography? Think back when Under Armour started in the late 90’s. Back then they had the UA symbol with the lettering of Under Armour below. In the early stages you commonly saw this, however fast forwarding years later have you noticed that they only use the UA primary on their products? This is because once the brand caught strength and recognition, there was no need for the additional typography. Same concept or theory applies to Nike – Adidas – and plenty more. What is the Process of Logo Design? You are ready for a new brand or logo design, what are the next steps.  A conversation needs to be had between the staff at Weicks Media and our client. This is your time to explain your business, what your target market and your future goals. We are here to listen, we want to hear all about your service or product that you are looking to brand. During this conversation, we might have some insights but typically we want to hear from you the client in your own words of what you see or picture in your head. After our conversation together, we discuss with our design staff, translating our conversation, placing these ideas to paper or digital concepts. From these concepts we narrow down our best designs that we feel meets both ours and your standards. Once we have reviewed and discussed these concepts and the direction of the design has been approved we focus now on adding color and details to the logo. From there we can change fonts, add any shading or colorizations that you may feel that starts to bring the logo to life. Approval of the Logo – The Next Steps. The logo design has been approved what do you need to do next? Our design staff will finalize the logo, cleaning up any rough edges, checking spacing and look into formatting the logo design into the most common forms or files that you will need. As a Weicks Media client you will receive the following logo files from us. .JPG file – this file is the most common file you will see on your computer. A JPG file means that it is going to have a white background and is not transparent. This file is not intended for use for your vendors, however it is a good file to keep record of your logo design. You will be able to see and access this file with no special computer programs. .PNG file – this file is commonly used for watermarking and some light printing applications. A PNG file will have a transparent background, meaning you can overlay this logo with the right software. A lot of our clients tend to use this for social media applications. You will be able to see and access this file with no special computer programs. .PDF file – A high resolution PDF file is used by some designers and developers. It tends to have a large enough pixel rate that some advertisements can use this file. It does have a background attached to this file, but with the right software you are able to cut this out, essentially turning it into a PNG file. You will be able to see and access this file with no special computer programs. .EPS file – this file is another high resolution file that you will need to give your vendors. This file typically is given to your apparel or decal vendors for their use in developing your products. You will need special computer programs to access this file. .AI file – this file is another high resolution file that you will need to give your vendors. This file typically is given to your apparel or decal vendors for their use in developing your products. You will need special computer programs to access this file.